Five-and-a-half is Still Less than Nine, Isn’t It? Comments Off on Five-and-a-half is Still Less than Nine, Isn’t It? Authors: Here’s a lesson in how not to respond to rejection. As the “Slushmaster General” for Baen Books, I have the unenviable task of sending out rejection letters. I don’t particularly like it — I know well how it feels to be on the receiving end — but I do it. 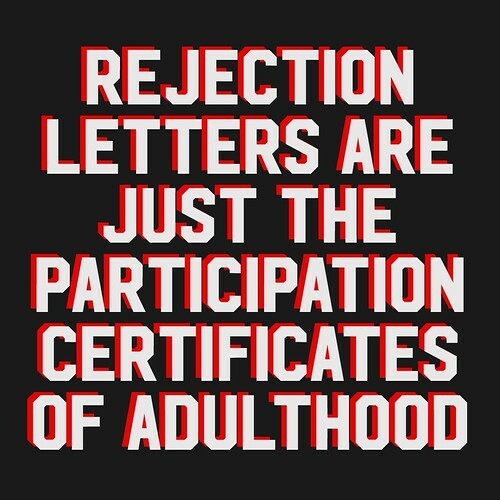 And because we get a lot of submissions, I send out a lot of rejections. Now, Baen Books could go the route some publishers and literary agents have gone and simply not respond at all if we’re not interested. We haven’t done that, though, and I don’t believe we ever will. As I tell people at convention panels and workshops, as an author myself I like to make sure that we treat every submission the way I hope other publishers are treating my submissions. Which brings me to today’s lesson: keep your expectations realistic, and think twice before complaining. Our guidelines note that we typically respond to new submissions within nine to twelve months, though we’ve gotten to the point that it’s usually six to nine. Why so long? Because in any given month we receive upwards of 120 submissions, and while there are always a few I can respond to quickly — e.g., short stories instead of novels; memoirs or poetry or children’s books or other things we just don’t publish — it takes time to look at each submission and judge it on the merits. This book has been published for months! You should try and better manage your time with submissions. Published, you say? Meaning … not available anymore? Meaning you could have told us that, and saved us the trouble of considering it, but didn’t? Or meaning that you expected us to respond in a few weeks instead of the several months it usually takes? And published “for months,” you say? (With an exclamation point, no less.) Publication cycles usually take many months to over a year, depending on the publisher’s editorial, art, and production schedules … so was your book already accepted somewhere else before you submitted it? I decided this response warranted a little investigation. I know when the book was submitted to us and when I responded, and since I have this fancy tool called the “Internet” — maybe you have it, too — I could find out exactly when that book was published. Let’s check the record, shall we? So, you published (self-published, if I read the Amazon listing correctly) your book less than two months after submitting it but didn’t withdraw it from our consideration? And then when we respond in a little over half the time we advertise you decide to berate us for not responding sooner? Oh, aspiring author out in Internetland, I trust that you, and most other people reading this post, would know not to do this. But, just in case, let me be clear: don’t do this. Know what to expect when you submit something; specifically, bear in mind that your submission is one of many. (We will get to it. If you’re worried that we might have lost it, just ask.) Be professional and courteous enough to withdraw your submission if you decide to publish elsewhere. And when we respond, if you think it took longer than it should have, be sure your expectation was realistic before you start complaining about our time management. Otherwise, your complaint might end up as a prompt for a blog post. The convention starts on Friday the 26th, and my workshop is one of the first events. As I explained in an earlier post, the workshop offers a brief, In-Person, Real-Time Manuscript Submission Critique on a first-come, first-served basis. If you’re coming to the convention and you’ve been receiving rejection slips from publishers, I’ll take a look at your submission and let you know, from my experience evaluating submissions for Baen Books, what impression I get from it. If not you, but you know someone planning to attend who has yet to break through in the publishing world, tell them to bring in their cover letter, the first 5 pages of their story, and their 1- or 2-page synopsis and let me take a look at them. 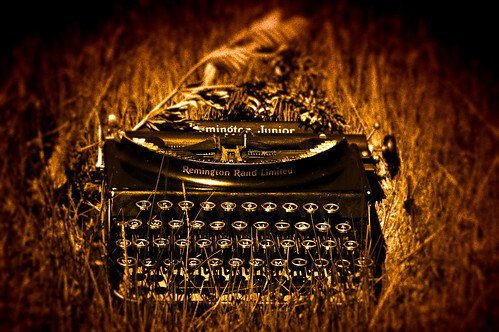 Let me know if you have questions or suggestions, and meanwhile … keep writing! If you’re in the vicinity of High Point, North Carolina, next weekend, come out and see me and many of my science fiction and fantasy friends! ConGregate will run July 10-2, and features Timothy Zahn and Michael Stackpole as Writer Guests of Honor. I’m very pleased that the convention is allowing me to return as a guest, and I’m going to be plenty busy! 4:00 p.m. — Signing — come by and snag a CD or a copy of my story! 8:30 p.m. — “HollyWeird Squares” — fun and games, and hopefully a few laughs! 10:00 a.m. — Signing — come by again, even if just to say hello! 11:00 a.m. — Baen Books Traveling Road Show — art, previews, and free books! 10:00 p.m. — Open Filk — all welcome to play, sing, or just listen! If you’re going, I hope you’ll stop by and chat. If I’ve already told you about my new CD, Distorted Vision, coming out later this summer, I’ll be happy to tell you more! You can snag a copy of my InterGalactic Medicine Show story, “Ashes to Ashes, Dust to Dust, Earth to Alluvium,” or my first album, Truths and Lies and Make-Believe, or even “Another Romulan Ale” and “Tauntauns to Glory” bumper stickers — and, of course, you can also sign up for my newsletter to get the latest info on my different projects. And whatever you do, have fun doing it! Many writers have commented on the “rules” for writing that Science Fiction Grand Master Robert A. Heinlein put forth many years ago, but one rule in particular has tripped people up. I’ve heard and read a lot of commentary complaining about rule 3, to the effect that Heinlein was not in favor of editing or somesuch. I think that’s nonsense, and results from a failure to read what the rules actually say. 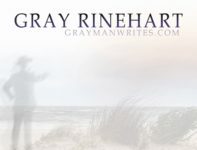 Note that rule 3 doesn’t say “don’t edit,” or “don’t rewrite,” or even “refrain from editing” — it stays “refrain from rewriting.” That is, once you’ve told the story you wanted to tell, resist the urge to change it into a different story. This rule is not about cleaning up a story; it’s about gross revisions and restructuring. How can I be confident that Heinlein was not referring to editing a story before trying to sell it? Because I interpret rule 3 in light of rule 2. All the commentaries I found on the Web* indicate that rule 2 simply means pressing on with your writing until you type “THE END” into the manuscript; in fact, the most common complaint seemed to be that actually completing every story one starts may not be advisable. However, that reads more into it than is actually there, because Heinlein didn’t say to finish every story one starts, but rather to finish what you start. Failing to complete a particular story simply leaves one with an incomplete story; but eventually, to be successful as a writer, one must finish writing at least one story. But there is another meaning to the word “finish” that people seem not to have considered. 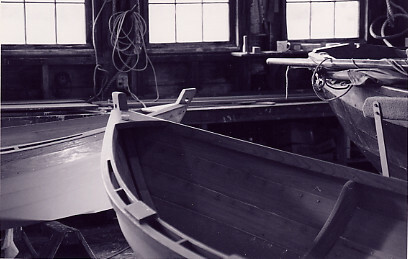 Heinlein, who was an engineer and a craftsman, certainly understood that the process of building anything proceeds in stages and the final stage of most projects is the finishing stage: the crown moulding, baseboards and paint applied to the house; the stain, sanding and varnish applied to the piece of furniture (or the boat, in the image above); the continuity, characterization, and setting details applied to the story. Thus, “finishing” a story is more than completing it, more than typing “THE END” — it’s sanding off the rough edges, adding color or detailing, maybe installing hardware or accessories — to create a truly “finished” piece of work as opposed to the foundation or framework or, simply, unfinished form of a story. I have no proof that Heinlein actually meant “finish” in this way, but I’m confident that he was familiar with the idea. Even before he introduced the rules/habits, Heinlein called spelling, punctuation and grammar the “word-carpenter’s sharp tools” — and he certainly knew that the tools are important to making (and finishing) a thing but they are not usually the thing itself. So, finish your stories before you send them in (rule 2), but don’t rewrite them unless and until you have to (rule 3). The above five rules …. are amazingly hard to follow — which is why there are so few professional writers and so many aspirants, and which is why I am not afraid to give away the racket! But, if you will follow them, it matters not how you write, you will find some editor somewhere, sometime, so unwary or so desperate for copy as to buy the worst old dog you, or I, or anybody else, can throw at him. But I maintain that if you “finish” your stories in the way I suggest — by cleaning them up, making them presentable, and making them as good as possible — then “the worst old dog” you write will be more likely to compare favorably with the vast majority of the stories put forward by the “many aspirants” who send out their stories before they are ready. *I make no claim of having actually found all the commentaries on the Web. Want Some Insight Into Our Publishing Process? Then we have a podcast for you! Two weeks ago at Mysticon, Baen Books editors Tony Daniel and Laura Haywood-Cory joined Baen author Tom Kratman and me — the slimy contractor “Slushmaster General” — for an episode of the Baen Free Radio Hour entitled “A Roundtable on Making the Book.” We talked a little about the creative process, a little about the submissions-and-selection process, and a little about how a novel goes from submitted manuscript to finished book. Here’s a direct link to the podcast episode, which also includes part 2 of the serialization of “Murder on the Hoch-flieger Ost,” by Forever Engine author Frank Chadwick. Hope you enjoy it! And let me know if you have any questions. I wasn’t an English major, but I had a few good English teachers through the years who gave me an appreciation for proper use of the language. As such, I guess I became enough of a language purist that it bothers me to see a drop in the quality of copy editing in published works. I don’t mean the stylistic choices that authors make, or even the words that authors make up — I’ve done that myself, and I like what Orson Scott Card said about it to our Literary Boot Camp class: “I’m a writer, it’s a word if I say it’s a word.” What has bothered me recently is seeing too many wrong words, usually homophones*, left in the text. I understand the editing process can be lengthy and we’re all human — as I mentioned, I wasn’t an English major so I’m not sure about some of the rules (and I don’t remember much of the terminology). Sometimes an author can catch errors and the publisher chooses not to fix them because of cost, as happened with my book. But sometimes the copy editor just blows it. Is it too much to ask for a copy editor to know that “led” is the past tense of “lead” (as opposed to the soft metal, “lead”), and that an archer would have someone in their “sights” (connoting vision) rather than their “sites” (locations)? *Like homonyms, but they just sound alike.